It’s been less than 2 weeks since ‘Communicating Through Cats’, our hugely successful exhibition about the life and work of Louis Wain, closed to the public, but the Exhibition Gallery at Brent Museum is already hosting an exciting new project. The artworks on loan from Chris Beetles Gallery and Bethlem Royal Hospital Museum and Archives were packed up carefully and returned to their homes by specialist removers early last week, but the gallery wasn’t empty for long! For the next two months, Brent Museum has handed the keys to the gallery over to two local artists, who will be in residency until the end of December. Artist Alex McIntyre and poet Vicky Wilson are sharing their experiences of PLACE, and what it means to them, and they are inviting local residents – and you – to share your own thoughts and experiences. 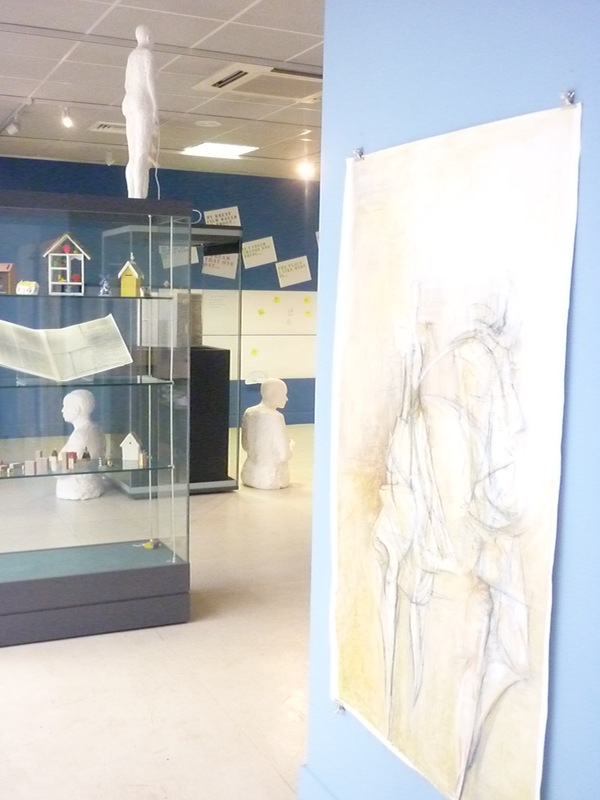 During ‘Our Place/Your Place, the gallery will be hosting and interactive writing zone where you can tell them what it means to you to live in Brent, and an interactive modelling zone where you can create sculptures, as well as their own finished works and works in progress. They will also be holding family workshops and drop-in activity sessions throughout their residency; find out more at Alex’s website and visit them in the gallery to make your own contribution! Our Place/Your Place is part of the Greenhouse Project, which has seen local creative arts organisations and community groups holding workshops and showcasing perfomances and exhibitions throughout Willesden Green Library Centre. ← An inspired new display!